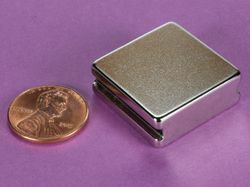 Magnet wire is copper wire coated with a very thin layer of insulation (it is not a magnet). 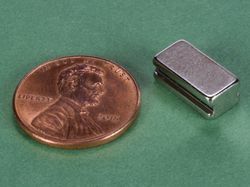 It is used for various applications but is mostly used for constructing windings in transformers, inductors, motors, speakers, electromagnets, and much more! 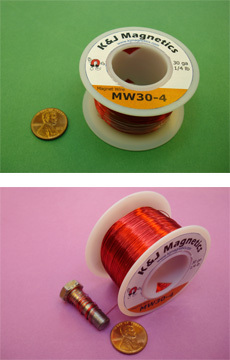 This is also available in a 1/2 lb spool, MW30-8.